Sheffield Road – Butchers Shop now Admiral. Photo courtesy of Astrid North. I was born in 1952. 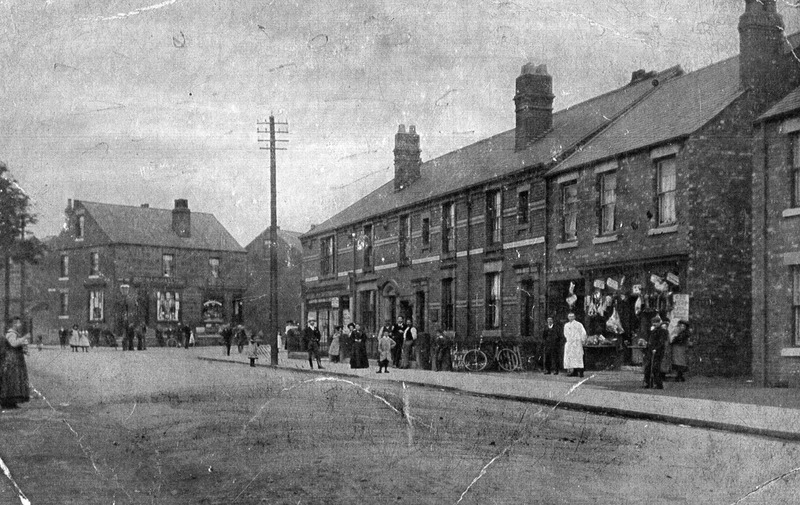 At that time the butcher’s shop was a fish shop owned by my Grandfather George Crofts (born 1893 and married at St Giles, Killamarsh in 1915). My Father, Edward (Ted) Crofts had taken over running the shop; and in 1956, we exchanged properties with my grandfather and moved into the shop. We lived behind and above the shop. My bedroom was the leftmost of the three upstairs windows. I lived there until 1974, my parents still running the fish and chips business. I moved with work to Cheshire, later married a Derbyshire lass and in 1981 emigrated to South Africa, where we still live in Durban. In the last couple of years I have been researching my ancestry using the Ancestry.com web site and have traced the Crofts back to the 1700’s. But I have an important gap in my records, that continues to frustrate me. I can’t find how and when my grandfather became a shop keeper. How he was able to buy the shop coming from modest background. Or was the property perhaps obtained through his wife’s family (named Hill)? If anyone has some information about this small part of Killamarsh’s local history, (the Crofts of 195 Sheffield Road) I would be very grateful to learn as much as possible. SHEFFIELD ROAD – BUTCHER’S SHOP – NOW THE ADMIRAL FISH AND CHIP SHOP. William Batterham walking with Straw Ben Hat and Breeks.